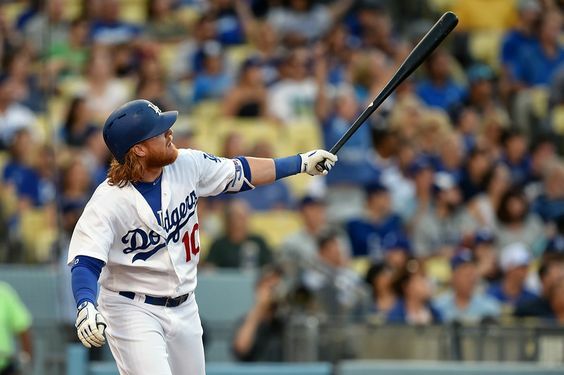 The Dodgers and third baseman Justin Turner have agreed on the terms of a four-year, $64 million contract. Previous reports Sunday and Monday indicated the two sides were close; the deal is now pending a physical. The Jansen and Turner agreements would mean the Dodgers went 3 for 3 in their top offseason priorities by re-signing Rich Hill and closer Kenley Jansen as well – an unexpected but highly successful outcome to the winter regardless of how they work out their remaining issues at second base and in the bullpen. It also would mean a combined total of $192 million in new salary commitments for a team hoping to bring payroll down. That payroll is expected to be in the neighborhood of $250 million next season, well over the luxury-tax threshold for a fifth consecutive season. The Dodgers will need to clear one spot on their 40-man roster for Turner and Jansen, who agreed to terms on a five-year, $80 million contract Monday. This entry was posted in JP on the Dodgers and tagged Justin Turner, Kenley Jansen, Rich Hill by J.P. Hoornstra. Bookmark the permalink.